Now this is a wild claim here, right in the first sentence. But I love the thrust. 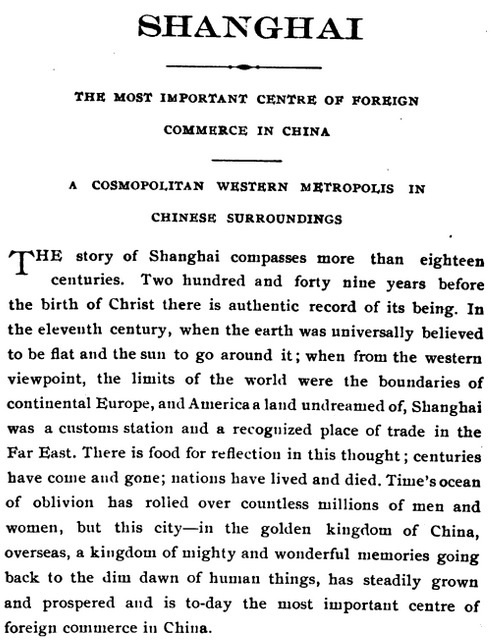 From The Hotel Metropole Guide Book to Shanghai..., published in 1903.